When it comes to relationship goals, you need look no further than Country superstar couple Tim McGraw and Faith Hill. The singers, who have been married since 1996, are both huge stars in their own right but when they come together there’s something uniquely special about their music. In 2000 the couple launched their first co-headlining tour called Soul2Soul and since then they’ve toured in 2006/7 under the same title and they are currently in the midst of their third co-headlining tour together. In March they will bring the show to the UK for the first time as they headline the first day at C2C: Country to Country 2018 at London’s The O2 Arena. 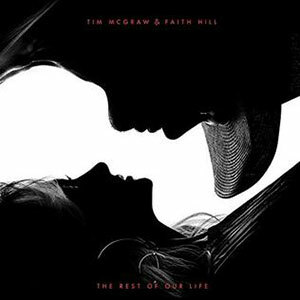 At the end of 2017 McGraw and Hill released their first collaborative album The Rest of Our Life after years of recording one-off duets for each other’s studio albums. The project’s first single was Speak to a Girl, which gave them a Top 10 single on the US Hot Country Songs chart. The song hits a chord in the current climate, which is seeing women taking a stand against years of poor treatment and inequality. The Rest of Our Life doesn’t feature any writing credits for McGraw and Hill, instead opting to take songs from some of the biggest songwriters in Country and Pop music. 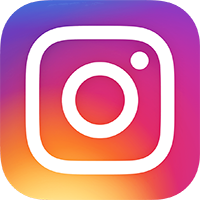 The talent involved here includes Ed Sheeran, Johnny McDaid, Jessi Alexander, Hillary Lindsey, Brett Beavers, Jaida Dreyer and Meghan Trainor. Due to the level of talent involved, you kind of know what to expect. Every song is structured for maximum commercial impact, which isn’t a criticism more an observation. Opening with The Rest of Our Life, which is currently subject to allegations of plagiarism, the album gets off to a strong start. McGraw and Hill take turns singing verses but when they come together they elevate whatever material they are singing. Both have distinctive voices with Hill able to soar through scales with her powerful ability. The 11 tracks included here offer varying styles and tempos. Telluride is one of the more traditional Country leaning tracks here while Break First is a soaring power ballad with a little bit of a Celtic feel to it. Damn Good at Holding On strips back the production a little allowing a banjo riff to drive the melody. It’s actually nice to hear the couple singing in a slightly more restrained way and they prove that they can carry off pretty much anything. Highlights on the album include the moody Devil Callin’ Me Back, which leans a little closer to rock. It’s also one of the tracks on the album where McGraw shines the brightest. Another standout is Love Me to Lie, which harks back to some of Hill’s best ballads, and features a tremendously powerful chorus. The album ends with Roll the Dice, a song co-written by Meghan Trainor. It’s one of the more uptempo moments here and has a nice carefree vibe. The song is a fitting way to end an album that really showcases two of the finest singers in Country music. The Rest of Our Life is an album that grows on you. The first few listens through may leave you feeling a little underwhelmed but the beauty in this album is that you need to live with it for a bit. If you’re a fan of McGraw and Hill’s undeniable chemistry, you’ll find much to enjoy and this collaborative album is one that is well overdue. One thing’s for certain, it’s definitely got me excited about seeing them at C2C next month. EF Country Advent Calendar Day 5: Faith Hill – Where Are You Christmas?